2. 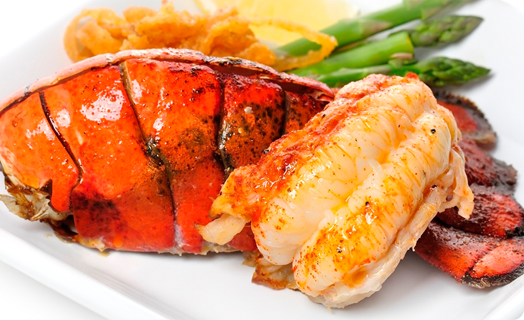 Place lobster tails on a baking dish and with a kitchen shear, cut a slit lengthwise down the tail. 3. Place lobster in the broiler for about 5-6 minutes until meat is slightly golden brown on top. 4. In a small sauce pan on low heat add butter, garlic, a pinch of salt and black pepper. Lightly stir for 1 minute until butter is fully melted. Remove from stove and based on top of cooked lobster tails.